This past Thursday the community was invited to join The Bespoken Mogul for a night of philanthropy and luxury. The annual Fall Charity Gala was held at the Vault in downtown Columbus, Ohio. A grand affair which encouraged networking, attendees were delighted with conversation in a chic surrounding as champaign, hors d’oeuvres and lively music flourished in the background. Various venders peppered the perimeter of the Gala. Andrews Jewelers offered each guest a $100.00 gift certificate. Beautiful models showcasing Lubna Designs, Prissy Duck Designs, and Bespoken’s custom suiting, flanked tables as the Columbus community was encouraged to participate in The Bespoken Mogul’s Trade In Trade Up Program. Building relationships and interacting with the community is key to the mission of The Bespoken Mogul. One strategy used to build relationships with the community is the Trade In Trade Up Program. This program is an opportunity for the Columbus community to unite and donate gently used suits for young men in need of suiting for interviews. Owner Fred Garnett shares that he, along with his team of haberdashers, want to maintain connections with the local area. Fred simply states that “Suits are a by-product of relationships”. Attendees were also encouraged to participate in the silent auction, with 10% of all proceeds of the nights events donated to local Columbus charities. The target audience for Bespoken is anyone with a desire to improve their appearance. Offering a wide range of price points, quality suiting is an achievable goal for the man desiring to be well dressed. Outlined in the website, the initial complimentary consultation is the first of 5 steps in the Bespoken experience. The meeting is an opportunity for face to face communication and connection, and may be held at their office. Additionally, the Bespoken team prides themselves as flexible, thus willing to travel for the convenience of the client. At the initial consultation, measurements are taken and the discussion deepens to how The Bespoken Mogul can best serve their client. The client may choose from a host of quality fabrics. Traveling throughout the world for high quality material, owner Fred Garnett will often select fabrics that are no longer available, giving the client an opportunity to choose something that may currently be worn by only a few. As the Bespoken haberdasher navigates the client through the experience, a friendship begins to form, and a memorable experienced is created. Originally getting their start with clients in the United Kingdom, and New York, The Bespoken Mogul is expanding, making their mark in the United States. Building relationships as well as giving back to the local community defines Bespoken. Using their website to educate and inform is another part of their strategy to achieve success. Furthermore the website offers a style guide as a platform for suiting education. Equipping the client with a knowledge base to make informed decisions is a point of pride and service for The Bespoken Mogul. To schedule an appointment, or for more information visit the website at www.thebespokenmogul.com. 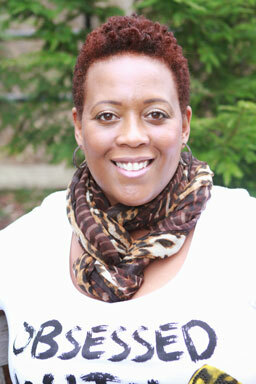 Leasa Simmons has worked for a local public school program in Columbus for over 20 years. She is also co-owner of LEC Concierge. Leasa's most recent endeavor includes launching A Bombshell Style Blog for plus size women over 40 and becoming an associate writer for IL Moda PR. You can look foward to her events and foodie writing!